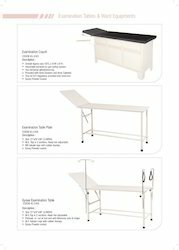 Our range of products include examination couch, gynae examination table, patient revolving stool and double foot step. 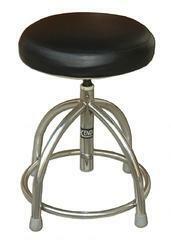 Being the well-distinguished companies in the market, we are into offering Examination Couch. Size 180 (L) x 60 (W) x 46Hcms. With the approach of most recent methods, we offer a broad cluster of Gynae Examination Table that is cherished for fine quality. 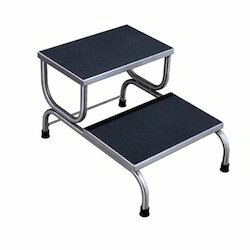 To meet the precise requirements of our customers, we are involved in presenting an extensive quality range of Patient revolving Stool to our customers. To address the rising interest amongst our clients, we are occupied with offering a gigantic arrangement of Double Foot Step.